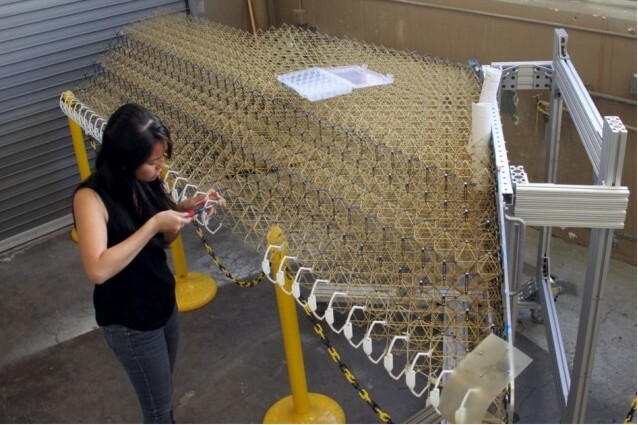 A team of engineers of NASA and MIT built and tested a new type of wing for airplanes: it is a flexible wing, made up by hundreds of small identical pieces that allow it to change shape in order to control the flight. The concept of a wing capable of changing shape is radically different from the one currently in use for the actual wings: the latter in fact are composed of fixed parts and moving parts, whose combinations of movements are used to direct the flight. Instead the new approach is based on flexibility: instead of using moving parts like ailerons, the new flexible wing uses its own structure – made up by hundreds of identical small pieces – to change shape. The parts of which it is composed form an open and light reticular structure covered by a thin layer of polymeric material. Having a lot of empty space inside, the result is a much lighter wing, and therefore much more energy efficient. This wing for each of the flight phases, from take-off to landing, passing through maneuvering in the middle, provides a specific configuration. Furthermore, instead of using motors and cables to deform the wings, the team has designed a system capable automatically to changes its shape accordingly in aerodynamic load conditions, thus adapting its shape independently and passively. To achieve this result it was necessary to carefully design the relative positions of the uprights, so that the wing would respond in the desired way to certain types of stress. 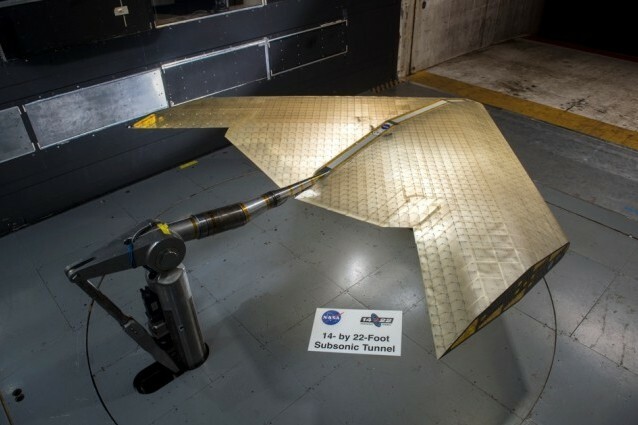 The prototype based on this concept, about five meters long, was tested in a wind tunnel at NASA’s Langley Research Center, and the project was published just recently in the journal “Smart Materials and Structures”. The production of the new flexible wings should not present particular problems from the point of view of economic sustainability, the authors of the study explained, because – once the initial investment for the equipment has been made – the production of the identical small pieces of which they are composed is really cheap. The adoption of the new concept could also lead to aircraft with different shapes compared to those ones used today because, as explained by Benjamin Jenett, one of the authors: “The fact that most of the planes have the same shape – essentially a tube with wings – is due to design costs, tools and production processes, but this shape is not always the most efficient”. According to studies conducted so far, a shape that integrates the wing and the body of the aircraft could be much more efficient in several cases. On the other hand, this concept could also be applied to other structures, such as wind turbine blades (where the possibility of assembling them on site could also avoid transport problems) or the construction of bridges and space structures. 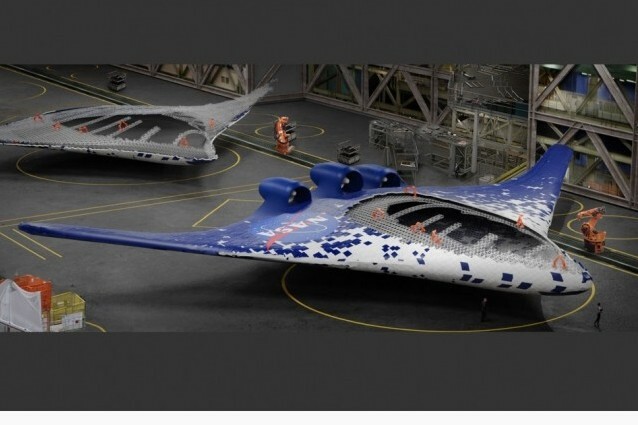 This entry was posted in News and tagged design, flexible, MIT, Nasa, study, wing. Bookmark the permalink.